‘The Day the Crayons Quit’, by Drew Daywalt, is the theme for this year’s Family Literacy Day. 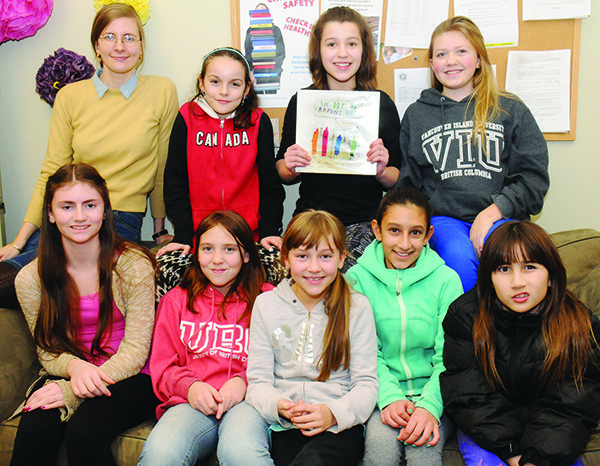 Members of the Tween Club at the Port Alberni public library take turns reading their lines, and imagining themselves as crayons. They are rehearsing an interactive play for Family Literacy Day, based on Drew Daywalt’s book, The Day the Crayons Quit, illustrated by Oliver Jeffers. “When they first started the club, they mentioned that they wanted to do a play,” says Robin Kelley, customer service librarian-children and youth services at the public library. The girls have been rehearsing their “crayon” parts and making their costumes during Tween Club time at the library. What follows is a hilarious adventure. Family Literacy Day activities take place from 11 a.m. to 1 p.m. at Echo Centre. They are designed for children aged two to eight years. The program is free, but families must pre-register at Echo Centre, as space is limited. This event is presented by Parks, Recreation and Heritage in partnership with the Vancouver Island Regional Library, School District 70, PacificCARE, Alberni Valley Community School, Alberni Children First Network and Literacy Alberni.